European mercenaries searching for black powder become embroiled in the defence of the Great Wall of China against a horde of monstrous creatures. If you’re looking for complex plotting and well-written characters, The Great Wall probably isn’t going to do much for you. But if you’re after dazzling visuals and acrobatic choreography — and you don’t mind derivative stories — then the most expensive China-US co-production ever made may be just the ticket. 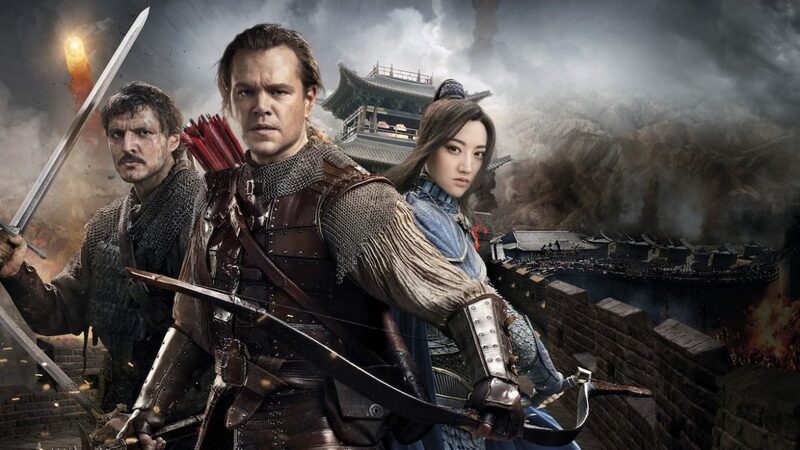 Before even arriving on the big screen, The Great Wall stirred up its fair share of controversy with a marketing campaign fronted by its lead actor Matt Damon, prompting accusations that the film is another “white saviour” narrative like The Last Samurai, Avatar, and others. While the trailers do overstate Damon’s role a little, these concerns are far from unjustified, and it would’ve been far more encouraging to see such a large Chinese film have a Chinese hero. 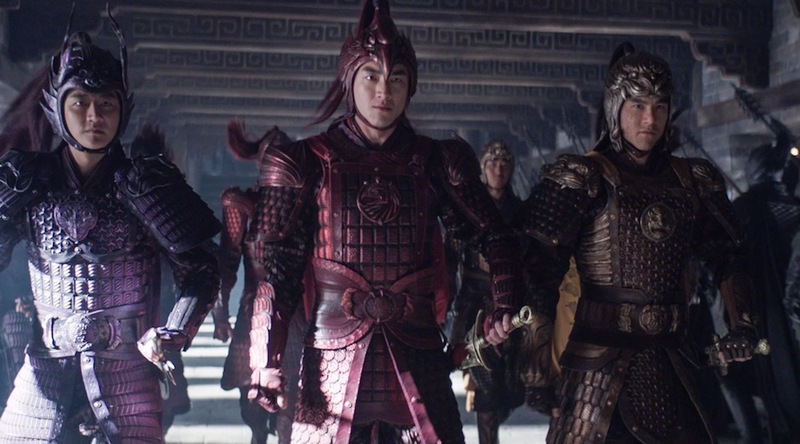 Nevertheless, director Zhang Yimou (House of Flying Daggers) wasn’t wrong when he argued “a film deeply rooted in Chinese culture, with one of the largest Chinese casts ever assembled, is being made at tentpole scale for a world audience”. This move is definitely a sign that the look and feel of globally-appealing blockbusters might be changing. It’s also important to note that many of these critiques are based almost entirely on the way the film was marketed. The film itself positions Damon’s character, William, as a roguish thief without honour who eventually learns the value of bravery, loyalty, and trust from all the Chinese characters he fights alongside — so he isn’t much of a saviour in reality. 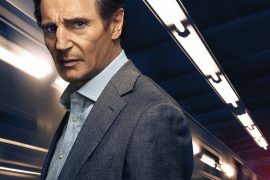 Ultimately, William’s hardly the most heroic character in the story, and while the conversation that’s followed the film’s release should by no means be ignored, this really isn’t Damon’s movie as the marketing has you believe. 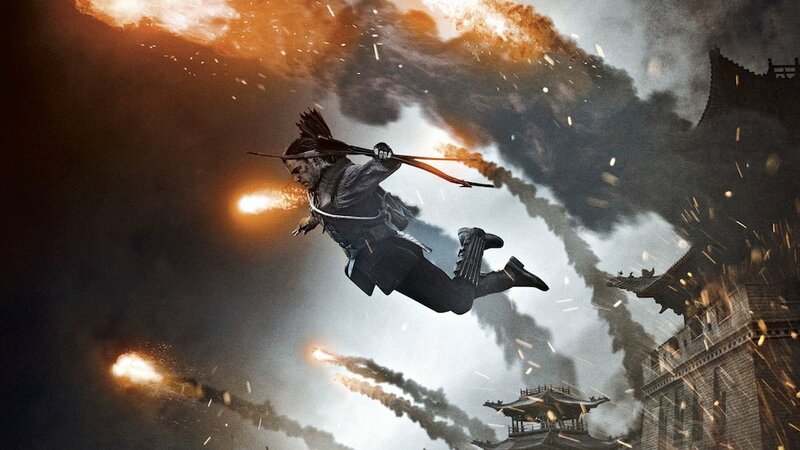 The Great Wall’s only real female character, in fact, comes closest to being its action hero. 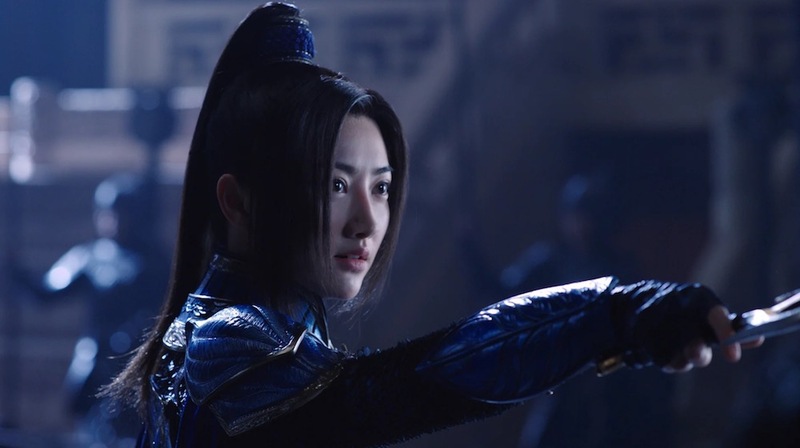 Commander Lin (Jing Tian) is a warrior who’s spent her entire life in the “Nameless Order”, preparing for the arrival of a horde of savage mythical monsters called the Tao Tei that’ll charge at the Great Wall in an attempt to get into China. The details of where these creatures come from and what they want are all there in the film, but they’re not really important. William and his travelling companion, Tovar (Pedro Pascal), are both mercenary soldiers looking for coveted gunpowder they hope to trade and hastily get back home. It’s not exactly clear where home is, but Damon’s inconsistent accent suggests his character might be… Irish? After being captured by the Nameless Order, William and Tovar prove their fighting skills when the monsters attack the titular Great Wall, and find themselves caught in a battle that isn’t just about protecting China, but the entire world. If there’s a tip for audiences it’s try not to take The Great Wall too seriously, because it certainly has no pretensions about exactly the kind of movie it is. This is silly, schlocky fun that’s all about a colourfully dressed army battling a horde of monsters atop the famous Great Wall of China. Each section of the army has its own colour-coded armour and, as many commentators have pointed out, they’re dressed less like soldiers than they are sparkly Power Rangers. All this feeds into the movie’s bright aesthetic, though, and it wouldn’t be appropriate to criticise an action movie for doing something interesting with colour. Along with the vibrant army, the films shows its desire for a more sumptuous colour palette in everything from its painted interiors to a climax shot largely in a tower full of stained glass windows. And then there’s the action choreography itself, which is dynamic and full of energy. The Great Wall’s main aim is to dazzle with enormous spectacle, and in this respect it doesn’t disappoint. If you’re going in prepared to not take the movie very seriously, you’ll have a blast with the gymnastic combat of soldiers using spears from bungee ropes over the edge of the wall, or the preposterousness of the flying balloons that play a big part in the finale. Seen in 3D, the eye-popping visual effects are exactly as impressive as you’d hope for, and the design of the action sequences is highly accomplished. Commander Lin is a complete badass, and before gaining even more responsibility she heads up an incredible all-female fighting squadron of the army, while William is essentially a medieval Hawkeye when it comes to his skill with a bow and arrow. 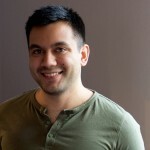 While the film seems to want to have the theme of trust at its heart, it also knows and accepts that everyone’s coming to watch it for outrageous spectacle during the battles, so it delivers on that from start to finish. 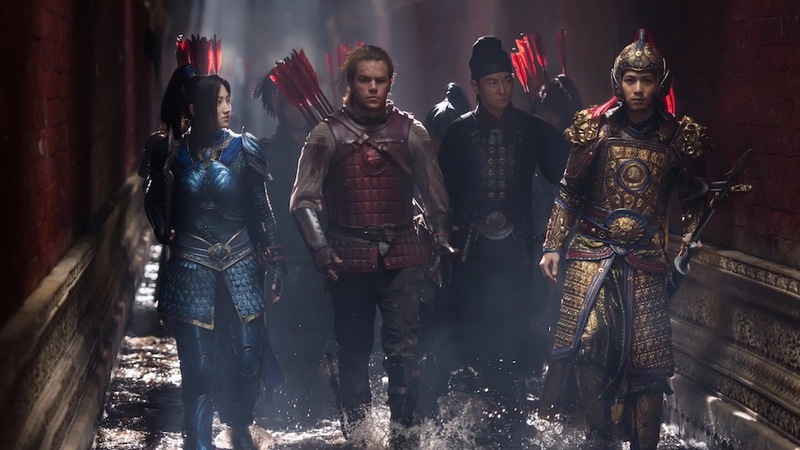 In fact, The Great Wall even puts some its biggest action in the first half of the movie, with a siege very reminiscent of the epic battles from The Lord of the Rings taking place almost immediately after William and Tovar are captured. The pacing of this story is ridiculously quick, and it feels like any scripted nuance was jettisoned long before filming, but this is unlikely to harm your viewing experience if all you’re looking for is a fun popcorn flick. Still angry about Matt Damon and Hollywood’s love of white saviour narratives? There’s no doubt that having these conversations is crucial and important, but this movie doesn’t deserve your ire because that’s hardly how Damon’s character is being used. 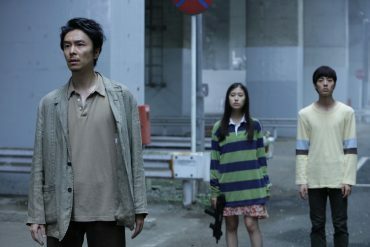 There’s more than enough to dislike here if you’re trying to look for it (predictable plotting, paper-thin characters, overly familiar themes), but if you can settle for breathless entertainment and love big monster movies you’ll be pleased with what Zhang Yimou’s cooked up in his elaborately designed big-budget spectacle. 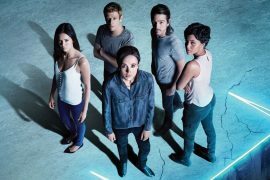 writers: Carlo Bernard, Doug Miro & Tony Gilroy (story by Max Brooks, Edward Zwick & Marshall Herskovitz). starring: Matt Damon, Jing Tian, Pedro Pascal, Willem Dafoe & Andy Lau.